Vikalpa is institutionally anchored to the Centre for Policy Alternatives (CPA). It follows the spirit of the award-winning Groundviews and publishes content in the vernacular exploring key issues broadly related to human rights, democracy, governance and peace. 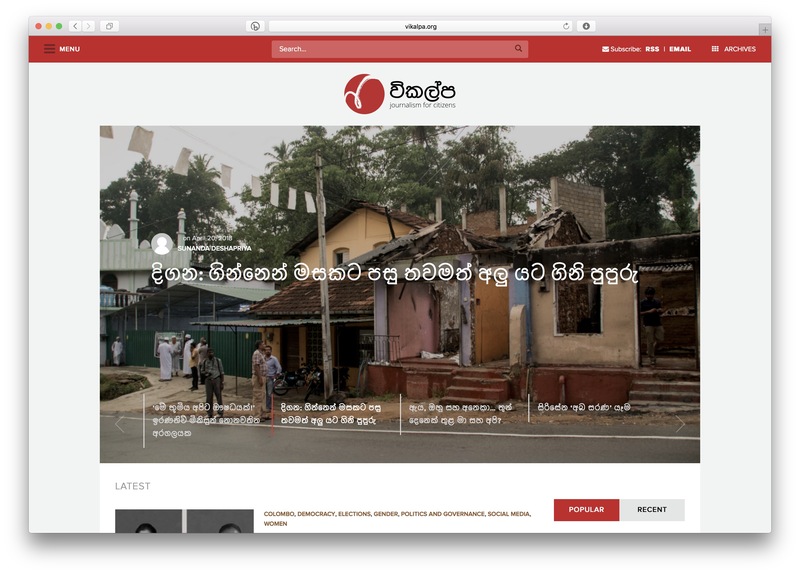 Download second archive of the site here, taken 4 May 2018. First one here. 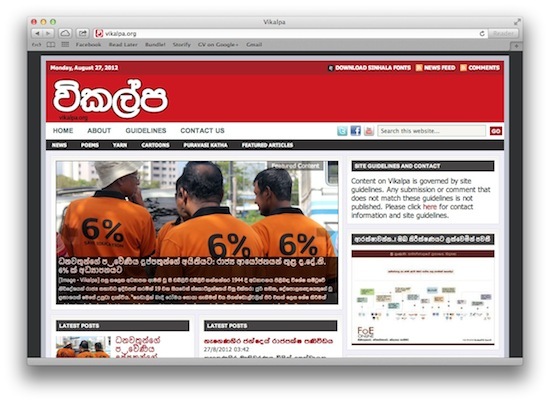 Vikalpa is a Sinhala and Tamil language citizen journalism site. Click here to download the archive of all the site content from July 2006. Click here to access the site archive from August 2012.